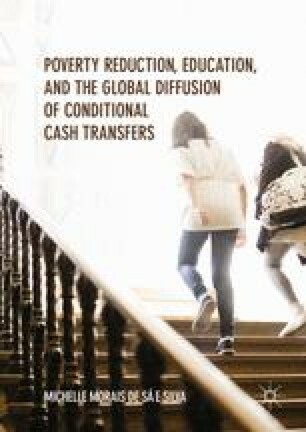 Chapter 7 contrasts case-specific findings, pointing out what they reveal in terms of conditional cash transfers (CCTs ) linkage (or absence of) to educational policies and practices. Some suggested inputs to existing theories are provided, along with the presentation of some lessons learned. The findings are meant to inspire the large array of stakeholders that have somehow got involved in the CCT debate and expansion throughout the world. It speaks especially to those who have high hopes of CCTs having deeper impacts on the educational indicators of developing countries and points out the challenges that need to be surmounted if those hopes are to become true. Lastly, the chapter is also dedicated to looking at CCT’s long program lives. It argues that when funding is not an issue, most of these programs have been able to survive for long periods of time. Bolsa Familia has existed since 2004 in Brazil and the same long life story applies to the multiplicity of CCTs in Latin America, such as in Chile, Ecuador, Uruguay, and even the national Colombian CCT. Bosman, J. (2010, March 30). City will stop paying the poor for good behavior. The New York Times. Retrieved March 31, 2010, from http://www.nytimes.com/2010/03/31/nyregion/31cash.html?hp. MDS. (2008). Programa Bolsa Familia. Retrieved November 2, 2008, from http://www.mds.gov.br/bolsafamilia/. Oliveira, A. (2009). An evaluation of the Bolsa Familia program in Brazil: Expenditures, education and labor outcomes. Retrieved from http://paa2009.princeton.edu/download.aspx?submissionId=90741. UIS. (2016). Brazil Custom Tables. Retrieved December 3, 2016, from http://uis.unesco.org/country/br. Viana, I., Sousa, J., & Oliveira, A. (2009). Schooling transitions to evaluate the impact of the Bolsa Familia program in Brazil: Breaking the intergenerational cycle of poverty. Retrieved from http://iussp2009.princeton.edu/download.aspx?submissionId=93015.